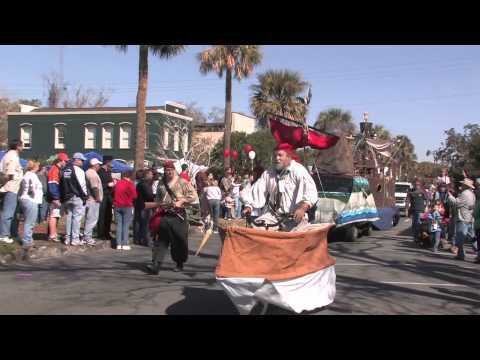 Don't miss the Rock Shrimp Festival, Matey! Annual Rock Shrimp Festival mascot, "Rocky"
The Annual Rock Shrimp Festival in historic St. Marys continues its long-standing tradition of family fun with a full day of events, including kids' activities, a themed parade featuring decorated floats, fire trucks, tractors, golf carts and more. Downtown will be overflowing with all-day entertainment, demonstrations, arts and crafts vendors, food concessionaires, and, of course, the sweet-tasting rock shrimp that is the event's namesake.